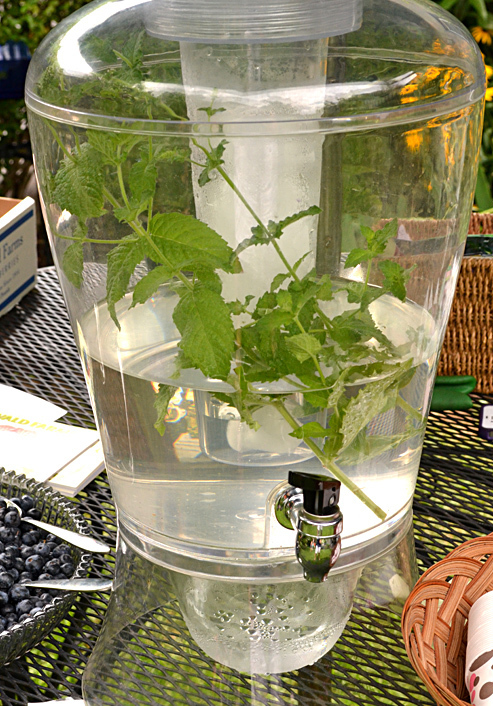 For an easy and refreshing drink this summer, try minted water. I tasted this light beverage in the garden of Kathy and Ed Burke on Argyle Park during Garden Walk Buffalo. Simply place mint in cool water and let it set. Mint is easy to grow and spreads quickly, so this is a great way to use large bunches. It was hot during Garden Walk Buffalo and visitors appreciated this summertime treat. You can also try cucumber water. Photo from Mischler’s Florist and Greenhouses. Can you find Mischler’s fairy garden? 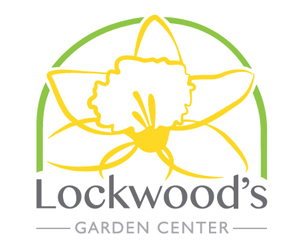 The staff at Mischler’s Florist and Greenhouses have hidden a fairy garden in one of the perennial beds at their garden center, 118 South Forest Road (between Main St. and Wehrle Dr.), Williamsville. Next time you stop in, see if you can spot it. Kids have fun searching for the fairy garden, and they love having their own little fairy garden at home. 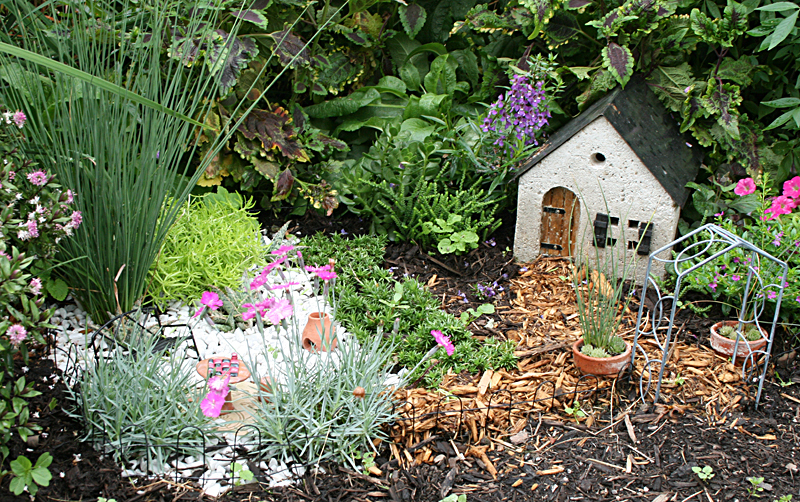 Creating a fairy garden is a great gardening project to share with a child or grandchild. For adults, it’s a great way to relax and be creative. 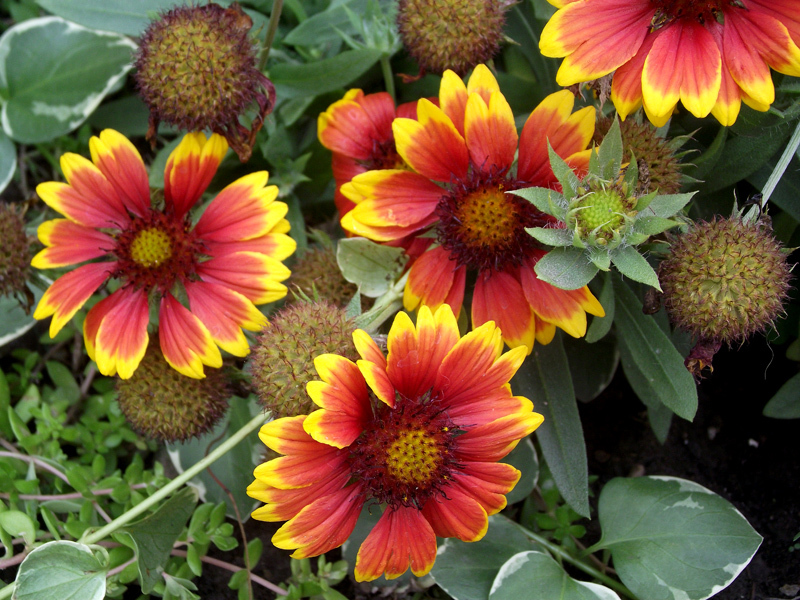 You can build a fairy garden in an outdoor bed or just a container, so you don’t need a lot of room. Mischler’s Fairy Nook contains a wide selection of all the specialty items to help you create your own fairy or gnome environment. Some gardeners are so good at what they do that they produce more vegetables, fruit and herbs than they can use. If you’re one of those fortunate people having a bumper crop of zucchini, tomatoes, peppers or other produce this year, consider sharing them with our neighbors who are in need. Friends of Night People is just one organization that helps feed families and the working poor right here in our area. 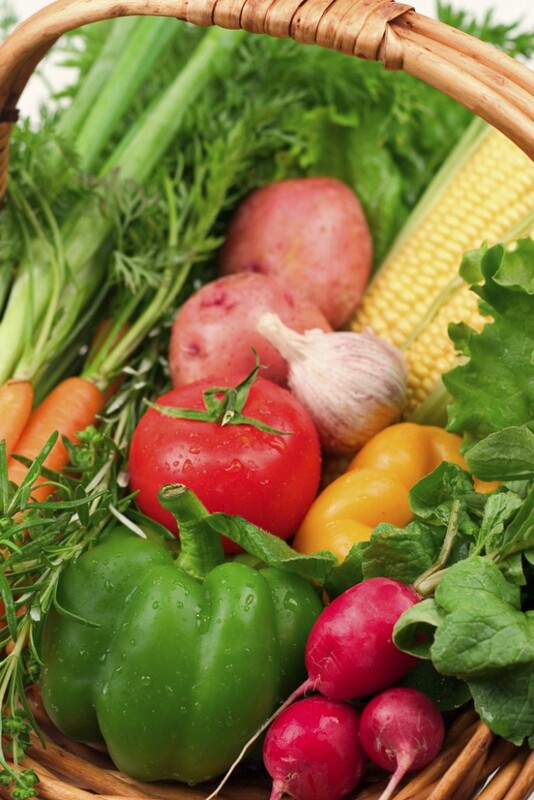 Fresh produce is especially valued by these organizations for its great nutritional value and taste. However, fresh fruit and vegetables can be expensive for them to buy. This is one of several photos sent to us by Tina Schlau of Cheektowaga, who took them on the Black Rock & Riverside Tour of Gardens on August 4. It was a blazing 97 degrees that day, and after walking to 10 houses, she ended up taking the car on the rest of her tour so she could enjoy a bit of air conditioning. This photo was taken in the yard of her friend Marcella in Riverside, whose garden was on both the day and nighttime walks. 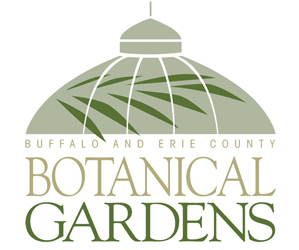 If you’d like to share your photos, email them to me at connie@buffaloniagaragardening.com. Please tell us what town you’re from and include some information about what we see in the photo to help me as I write the caption. I like the idea and image of the minted water. So refreshing. I almost complimented you on the basket of veggies, but caught the caption. That is a nice image too. The minted water was really good, and it couldn’t be easier. As an editor/photographer, sometimes you don’t need to create the perfect photograph; you just need to know where to find it!